Commercial property finance is a type of finance mostly used for the purchase of freehold office space, retail or industrial buildings such as warehouses and factories. This can be for the purpose of occupying the premises as an owner or as an investor. Commercial property can also cover other property types including coffee shops, hotels, motels, child care centres, caravan parks, car parks and petrol stations. 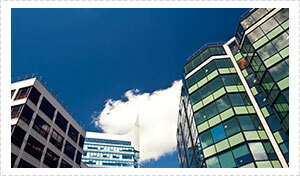 Investing in commercial property can have a higher return than investing in residential property. However, this also means that it comes with a higher investment risk. Occupied or rented, commercial property has the potential for capital growth just like residential property. 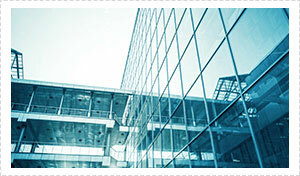 Commercial property finance is generally taken out over a long term similar to taking out a residential mortgage. You’ll need to keep in mind that GST is applicable on commercial property purchases. You may be eligible to claim a credit for the GST included in the purchase price. Another difference with investing in commercial property is the rules around who pays for maintenance, repairs and rates. For residential property the landlord generally pays these costs, with commercial property these costs are paid by the tenant. You still need be make sure the commercial lease agreement between you and the tenant spells this out clearly so you don’t end up with unnecessary ongoing expenses. Consider the reason you are purchasing a commercial property and whether you plan to lease it to a third party or occupy it yourself. Future sale or rent of the property will depend on location and purpose. The more types of businesses that a commercial property appeals to for practical use, the better your chances of securing tenants and keeping vacancy rates low. Policy terms and interest rates on commercial property finance are not as easily accessible as finding information for personal or home loans. Negotiation is best done by someone with expertise and knowledge in the area of commercial property finance as it can be dependent upon many factors. Leases on commercial properties often stretch for years rather than the typical 6 or 12-month lease arrangement synonymous with residential properties. Although this provides longer tenancy term security, vacancy rates are usually higher than with residential properties. When it comes to the complexities of commercial property finance experience matters. Finding the right commercial property finance solutions for our clients is one of the areas of expertise we have built up at Nexhome Finance. You’ll find our professional approach to be friendly and honest. We can also assist with the necessary insurance and help with your personal finances if required in order for you to be in a position where you can qualify for commercial property finance. To learn more about how we can help you finance a commercial property on the Gold Coast and/or Brisbane contact us by phone or email. We can also assist you in any area of personal or business finance.